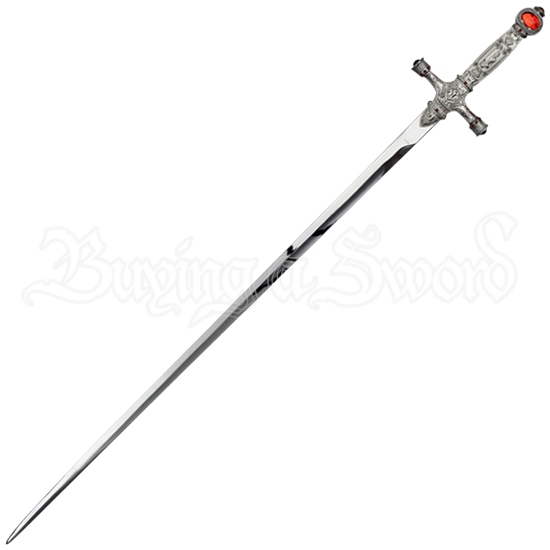 Heroic and stately, the Godric Fantasy Sword is for those brave enough to wield its ornately detailed and bejeweled majesty. This stainless steel replica sword is inspired by the Sword of Gryffindor from the world of Harry Potter. The eye-catching hilt is silver in tone and decorated with ornate imagery, including a unicorn crest between the crossguard and blade, a bird with wings outstretched at the center of the guard, and red gemstones inset within the wide crossguard. A bold red gemstone is inset within the rounded pommel, matching the smaller gems that adorn the rest of the hilt. The included wooden display plaque is cross shaped, and an ornate crest outlined in gold decorates its surface. 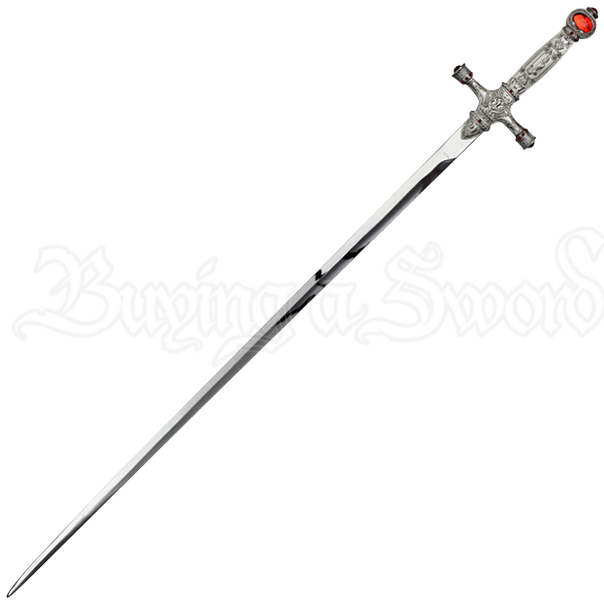 A must-have collectible for fans of J.K. Rowlings fantasy world, this decorative sword makes a great gift or display piece for wizards, witches, and muggles alike.